Deep down we all know we're doing terrible things to our spines by slouching down in our office chairs. But if this posture-perfecting chair is the solution to avoiding a sore back at the end of the day, the cure might actually be worse than the disease. Touted as the "Optimal Posture Office Chair," this backless seat incorporates a chest rest that encourages you to lean in towards your desk while sitting up straight. 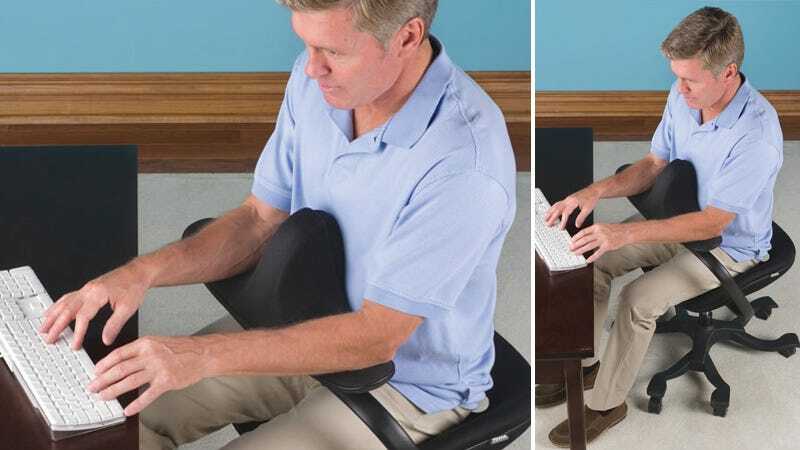 The seat itself is angled down towards the front keeping your buttocks above your knees and putting you in a perpetual semi-standing stance that prevents slouching, and there's a whole host of other improvements that doctors from the Wooridul Spine Hospital believe will benefit the average office drone.